When it comes to cleaners, we are interested in the ones that have the capability to clean up pet mess and stains, and/or deodorise. One of these models is the Bissell Big Green Professional Carpet Cleaner Machine, which is designed as a professional grade, large capacity cleaner for carpets. 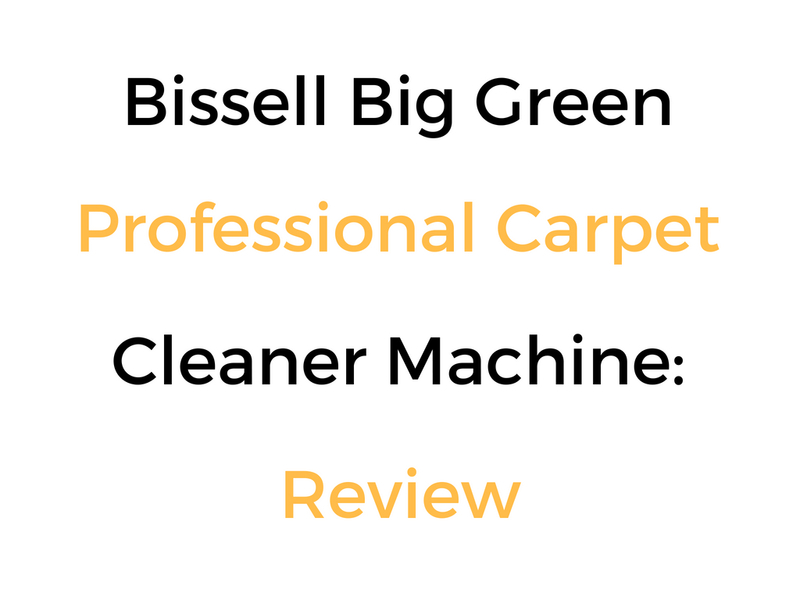 In this Bissell Big Green Professional Carpet Cleaner Machine Review, we look at the main features and potential drawbacks to this cleaner so you can get a good idea or not whether it’s worth your money. Similar to the Rug Doctor Mighty Pro X3, this machine is pricy, but you get what you pay for. The quality, functionality and performance of the machine are all very good. It should leave most carpets looking much cleaner and smelling better than before – you may not realise how much dirt or surface residue there is in your carpets until you run this machine over them. Like all cleaners, make sure you are happy with the return policy and warranty conditions before you buy to protect your investment in case you have any issues. Who Might The Bissell Big Green Professional Carpet Cleaner Machine Be For? Who Might The Bissell Big Green Professional Carpet Cleaner Machine NOT Be For?